Arrival and check in at our hotel in Tel Aviv. Meet your tour guide in the hotel lobby at 6 p.m. (18:00), for a briefing of the tour. Overnight in Tel Aviv. 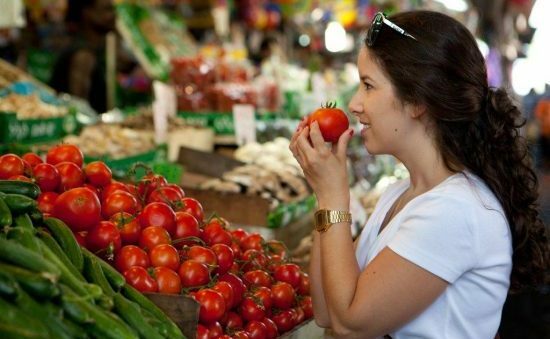 We leave Tel Aviv, and drive to Arad. 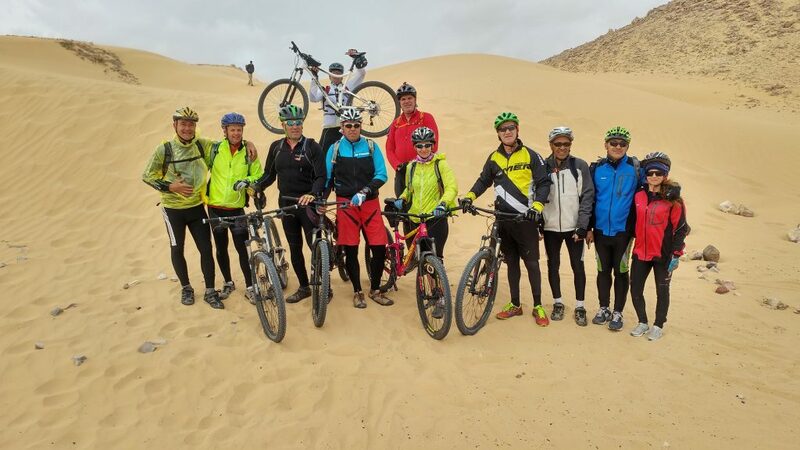 After assembling the bicycles, an orientation ride in the desert, from Arad to Kfar Hanokdim (Shepherds’ Village) in single or wide paths to Kanaim Valley. Overnight at Kfar Hanokdim. 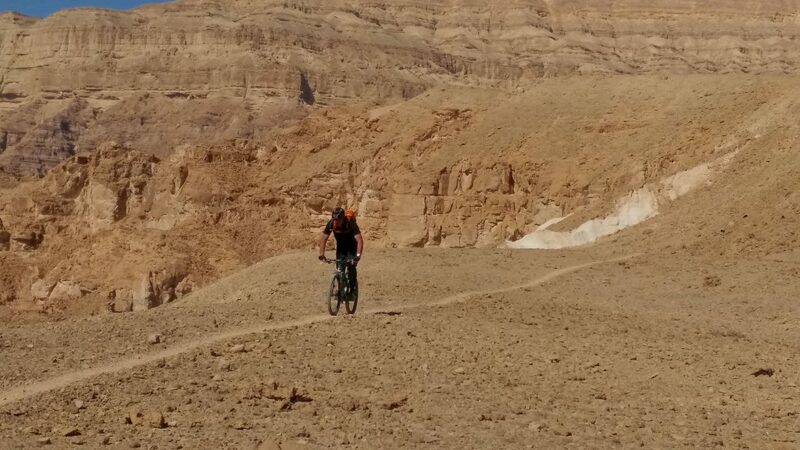 Ride from 400 m above sea level to 430 m. below sea level, to the Dead Sea, the lowest point on earth. 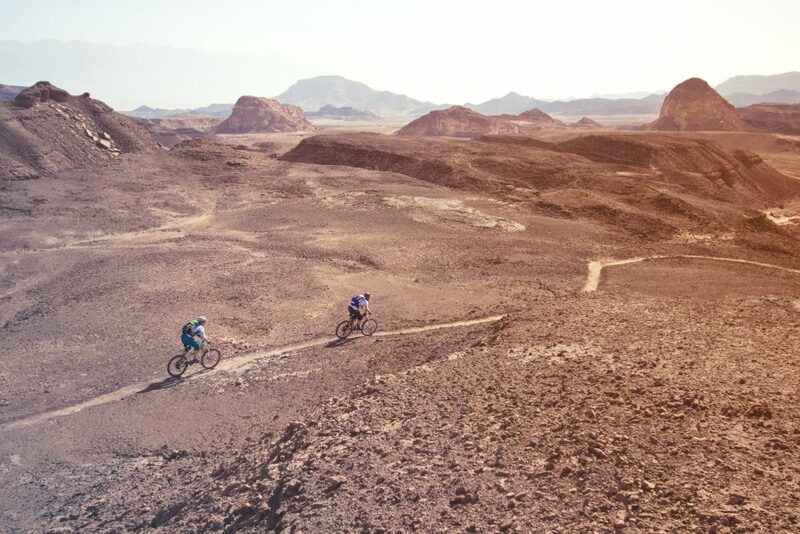 Ride the paths of the Judean Desert, arrive and enjoy the breathtaking view at a lookout on one of the cliffs on the brink of the Rift Valley of the Dead Sea. Descend to the Dead Sea and experience bathing or floating in the saltiest body of water in the world. 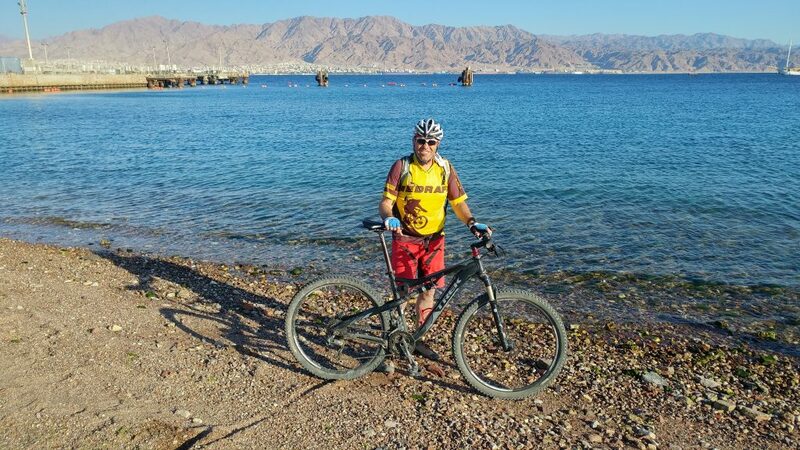 Day 4 - FROM THE DEAD SEA TO NAHAL SODOM, MT. SODOM AND NEOT HAKIKAR. Drive south via Nahal Pratzim and Mt. 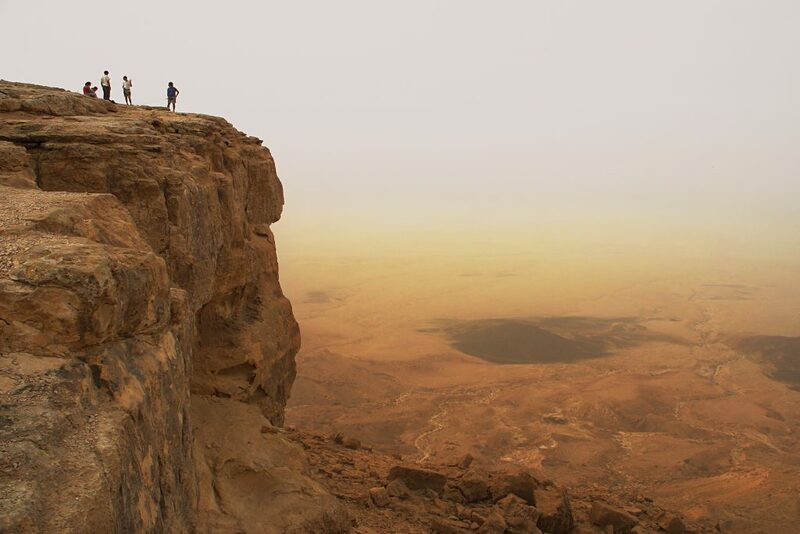 Sodom to the plains, south of the Dead Sea. Observe the marl stone formations and Mt. Sodom made of salt. Bathe in the Ein Tamar Spring, an oasis water pool encircled by palm trees. Continue to Neot Hakikar Village. Overnight at Neot Hakikar. 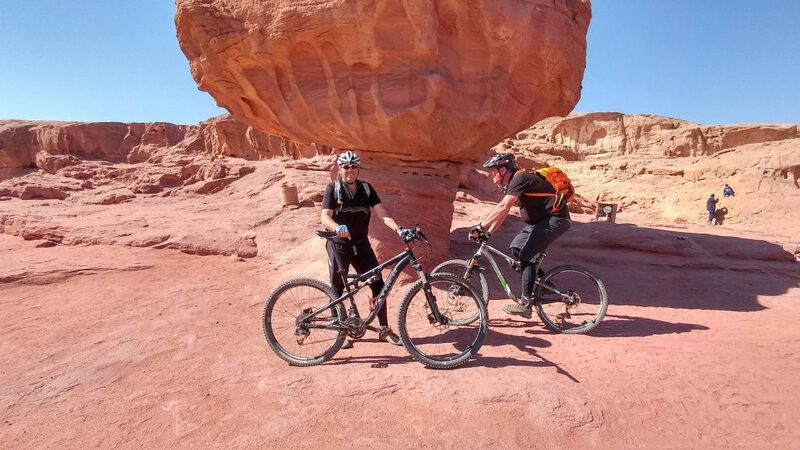 Ride along Nahal Arava amidst vegetable hot houses and groves in the desert. 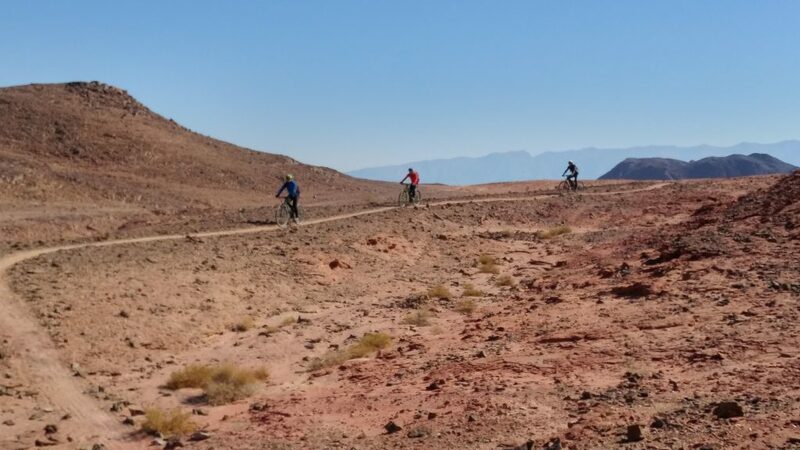 Continue along ”Shalom” (Peace) Trail connecting the villages of the northern Arava Valley and the Jordan border. Overnight at Hatzeva Village “zimmers”(guestrooms). Drive to the northern part of the Judean desert and bike to a charming and very special monastery in the desert, Mar Saba, perched on a cliff above Nahal Kidron. Continue to Mt. 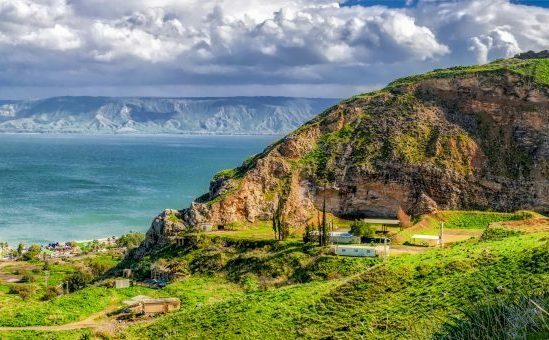 Muntar and enjoy a spectacular view of the Judean Mountains and the Dead Sea. Overnight at Kibbitz Kalia. 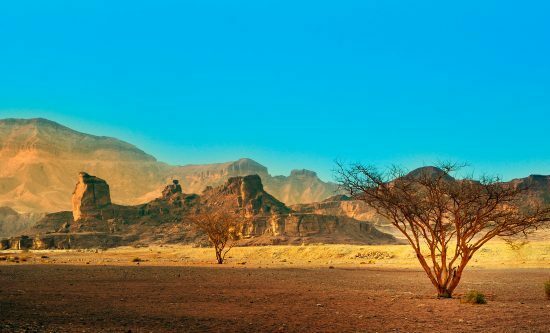 Leave the desert and drive to the Judean Mountains. 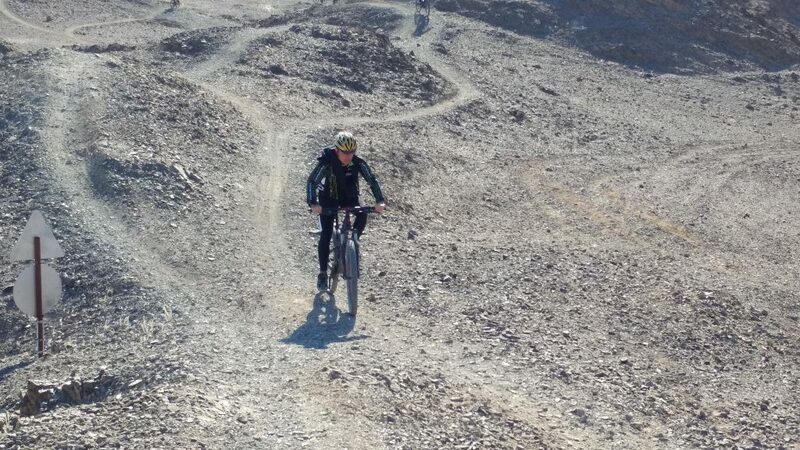 Before entering Jerusalem, bike along the path encircling the city, pass through Jerusalem Forest and enter the city. Ride across old and new neighborhoods until we reach our hotel. Pack our bikes. Overnight in Jerusalem.